So instead, I’m going to picture all my readers naked. HaHa! 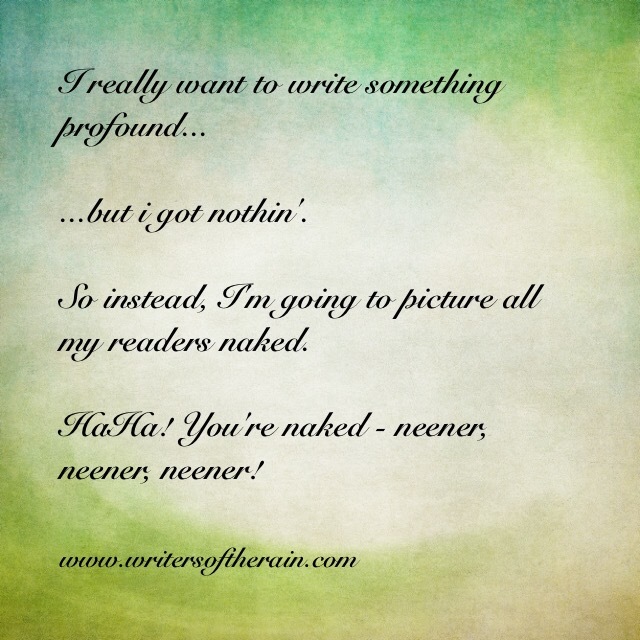 You’re naked – neener, neener, neener!